From last one year I have developed a lot of interest in lipsticks and whenever I get chance I make every effort to increase my lipstick collection. 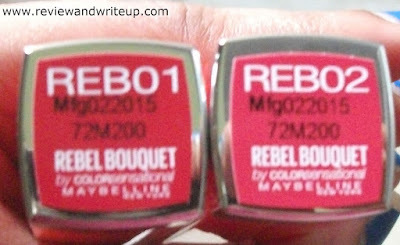 This time new addition was Maybelline Rebel Bouquet. I have already reviewed their color show on R&W. About the Product - Maybelline Rebel Bouquet collection has been based on pastel shades which are normally used in bouquet. Like you see flowers bouquet, the kind of colorful flowers are used, similar kind have been developed for their bouquet collection. These are apt for warm season. These comes in pinks, reds, mauves. 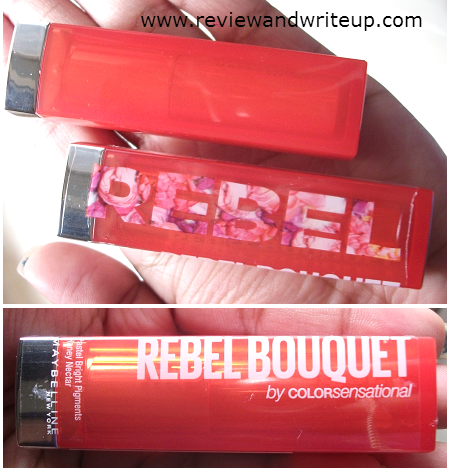 Packaging - Maybelline Rebel Bouquet tube comes in steel-silver color bullet with red color as cap. The lipstick when unopened is sealed with brand wrapper displaying name of collection and other details. One has to remove the cover entirely to use the lipstick. Its packaging is really nice. The cap keeps packed and comes off only if we try to do so. Easy to carry in bag and looks good on dressing table. My Experience - Of all amazing shades I chose REB01 and REB02 which suits my skin tone perfectly. 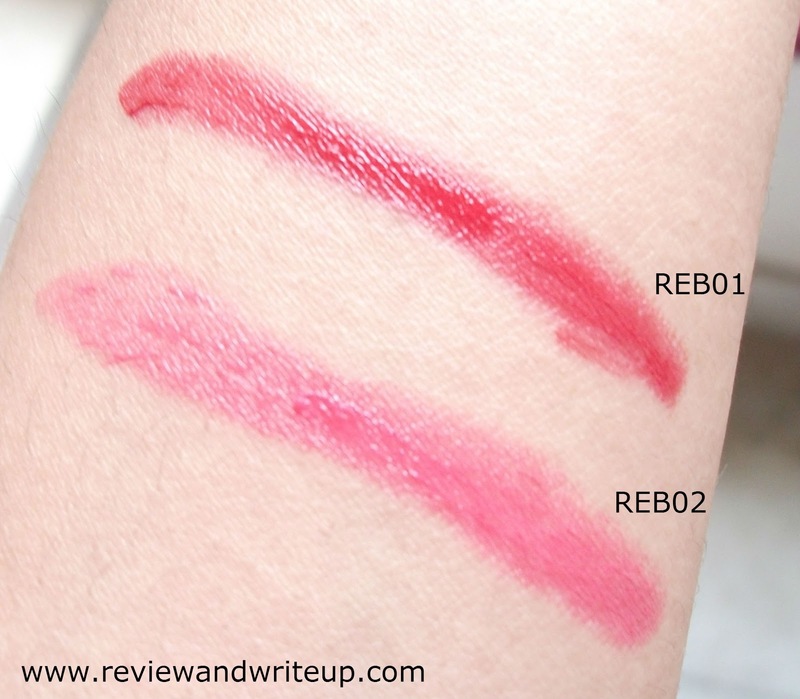 REB01 is redish-maroon shade and REB02 is bright pastel pink. Both color resembles to color of some flower petals. Both colors are rich, crisp with bright pigmentation. One coat is sufficient. 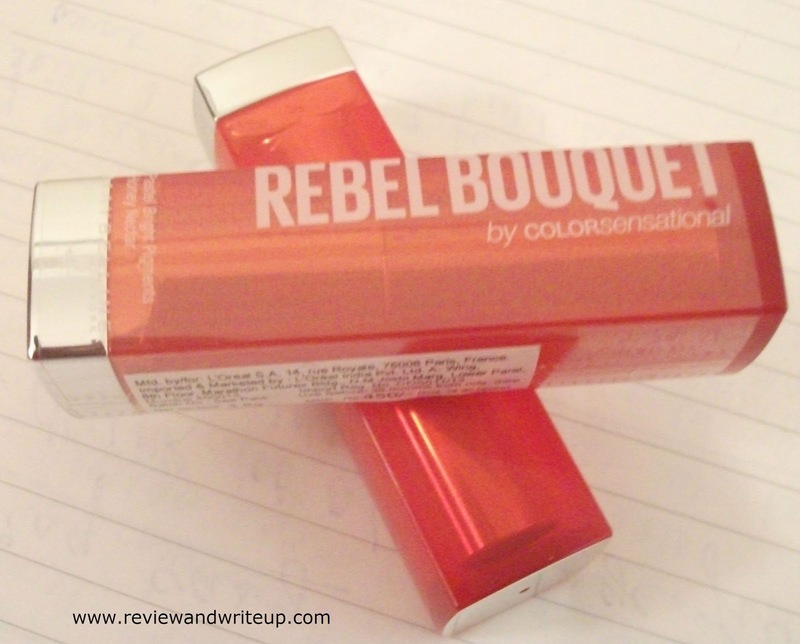 I love how smoothly it glides on lips. Best part it not only keep lips smooth and moisturized but also stays for more than 3 hours with eating. Even for lipstick eater like me color stays on my lips perfectly. Brand claims that they have used color bloom technology with a honey nectar formula. It could be worn to parties anytime during day or night, could be use as daily wear. I have used both ways. While fading it leaves light color tint to lips. 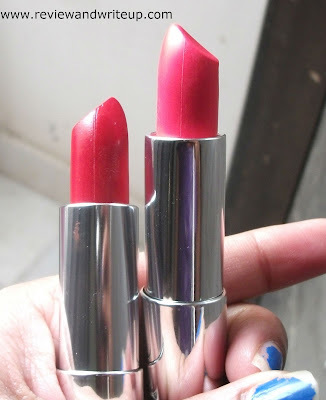 If we talk about its price its not that expensive as normally we see branded lipsticks in market. One can easily afford to buy one or two in six months. One lipstick will last upto two months if used daily for twice a day. These shades are apt for college going, working, any age group. 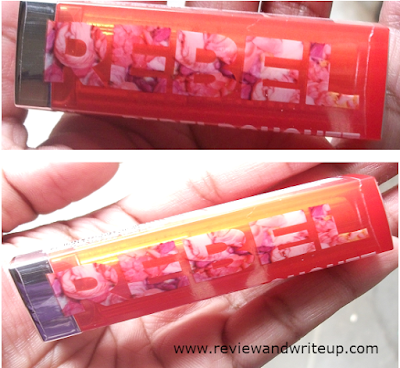 R&W Recommendation - My experience have been superb with Maybelline. I would recommend you to buy atleast one shade for your collection.